The Independent National Electoral Commission (INEC) has announced results of the presidential poll from five out of the 20 Local Government Areas (LGA) of Lagos State. The Vice Chancellor of the Federal University of Abeokuta, Prof. Felix Kolawole Salako, who is the Chief Collation Officer, gave the breakdown of results at exactly 10.15pm at the collation centre at the INEC headquarters in Yaba, Lagos. The LGAs which were announced were Apapa, Lagos Island, Ibeju Lekki, Ikorodu and Epe. 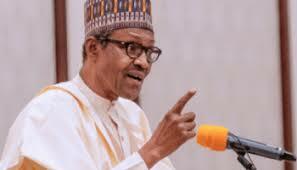 In Apapa, the candidate of the All Progressives Congress (APC), President Muhammadu Buhari, scored 18,170 votes, while the candidate of the People’s Democratic Party (PDP), Atiku Abubakar, polled 11,295 votes. In Ikorodu, APC got 40, 719 votes while PDP polled 21, 252 votes. APC polled 12,179 votes in Ibeju Lekki, while PDP got 9,222. In Lagos Island, APC won with 27,452, while PDP polled 7,396, while in Epe, APC polled 17, 710 votes and PDP got 13, 305 votes. From the five LGAs announced, APC polled a total of 115,763 votes, while PDP got a total of 62,470 with a difference of 53,293.